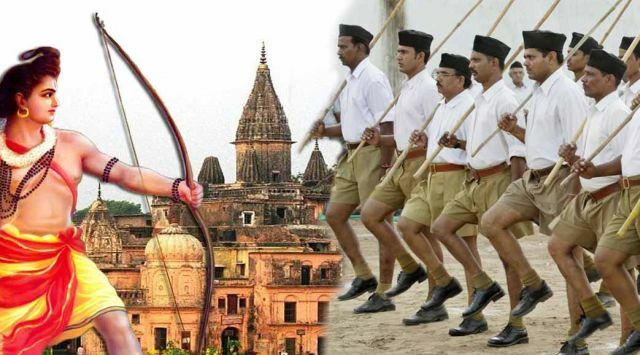 Thane (Maharashtra) : The RSS on Wednesday reiterated its demand for enacting a law or promulgating an ordinance to enable the speedy construction of a grand Ram temple in Ayodhya in Uttar Pradesh. 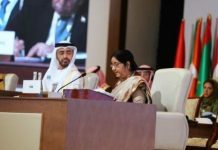 RSS Joint General Secretary Manmohan Vaidya said that “construction of the Ram Mandir is a matter of national pride” and so far the Ayodhya dispute had not been resolved in the courts. 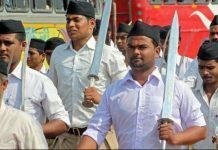 His comments came in the wake of the three-day Rashtriya Swayamsevak Sangh’s ‘Akhil Bharatiya Karyakarni Mandal’ which was inaugurated by RSS chief Mohan Bhagwat. 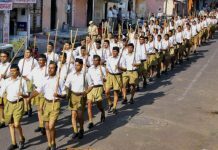 Bhagwat had first raised the demand for such a legislation at his annual Dassehra rally in Nagpur on October 18. Shiv Sena President Uddhav Thackeray has also made the same demand. Top RSS functionaries and heads of various affiliates are attending the deliberations at the picturesque Rambhau Mhalgi Prabodhini in Bhayander town in Thane. Vaidya said that issues concerning national and social importance shall be deliberated during the conclave.